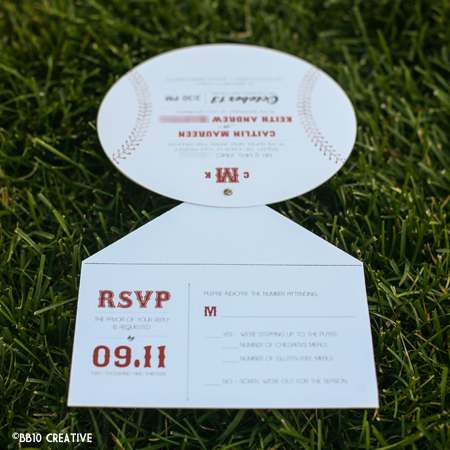 Back for more baseball theme wedding invitations! 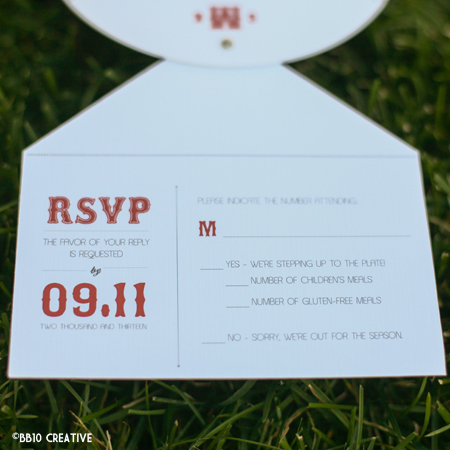 Caitlin found an invitation I had previously created for Tara and Mike’s baseball theme wedding and wanted to customize the same type of invitation for her wedding. 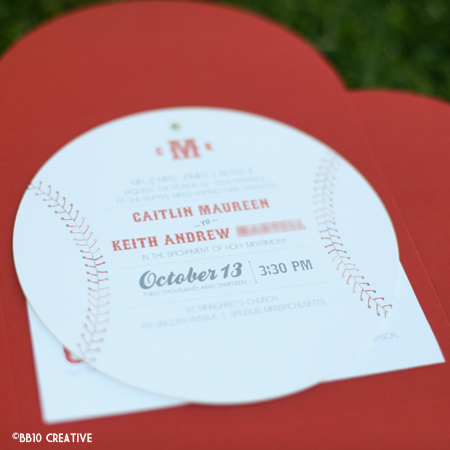 Caitlin and her finance (now husband) Keith are die-hard Boston Red Sox fans and were looking to incorporate as much of the teams’ look and feel into their wedding decor. 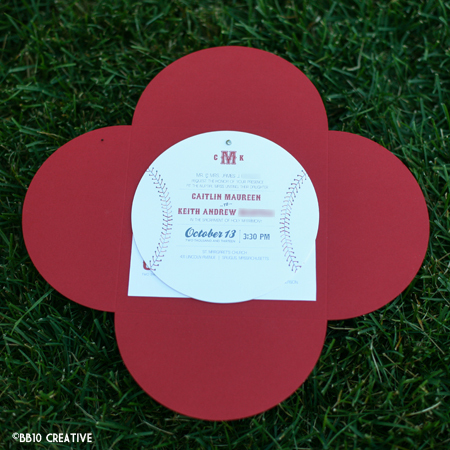 I used the same style enclosure and paper as the last baseball invitation – a red petal fold enclosure and circle cut white cardstock, however the design had been completely updated and revised for Caitlin and Keith. 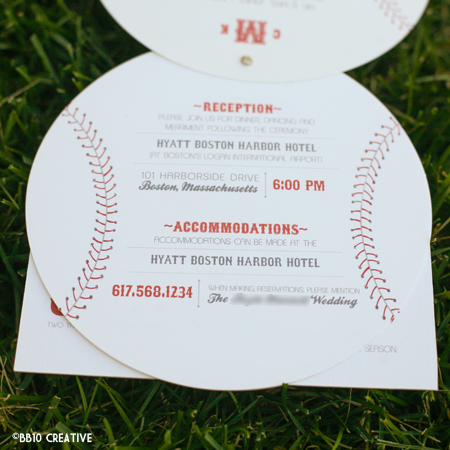 I used a font resembling the Red Sox team font paired with an airy sans-serif font and a brush script and applied more of a vintage design to the cards. 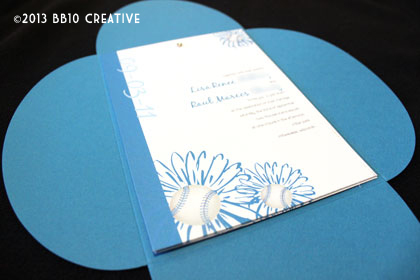 Even the baseball seams down the side had a gradient effect applied, giving them a worn look. 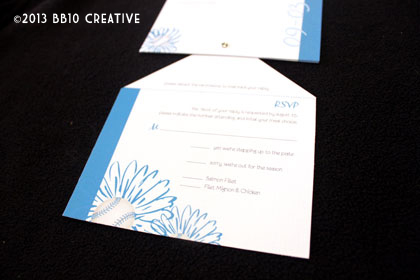 The RSVP card is shaped like home plate, with a perforated edge to detach and mail the postcard back. 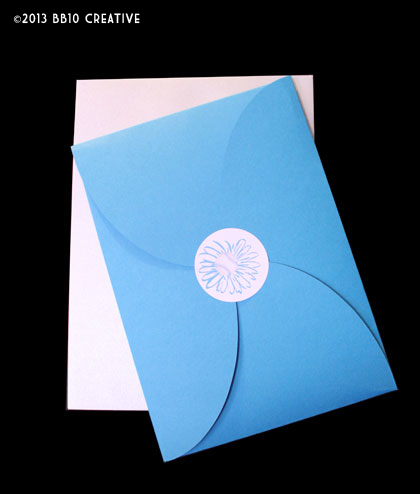 The invitation itself is held together with a brad at the top so you can page through the different cards. 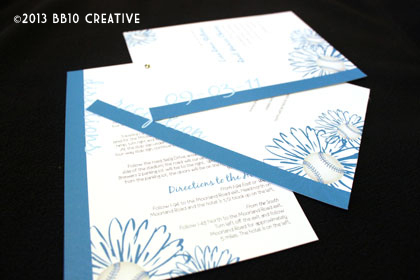 Being a big baseball fan myself, I love creating these theme invitations and I had a great time working with Caitlin on all of the corresponding materials for the wedding to match. 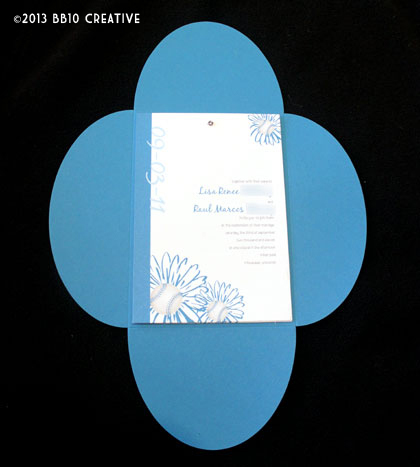 Don’t forget to follow BB10 Creative on Pinterest, Facebook and Twitter to see all the latest and greatest work!